Our path to success lies in getting people to love our products and services. 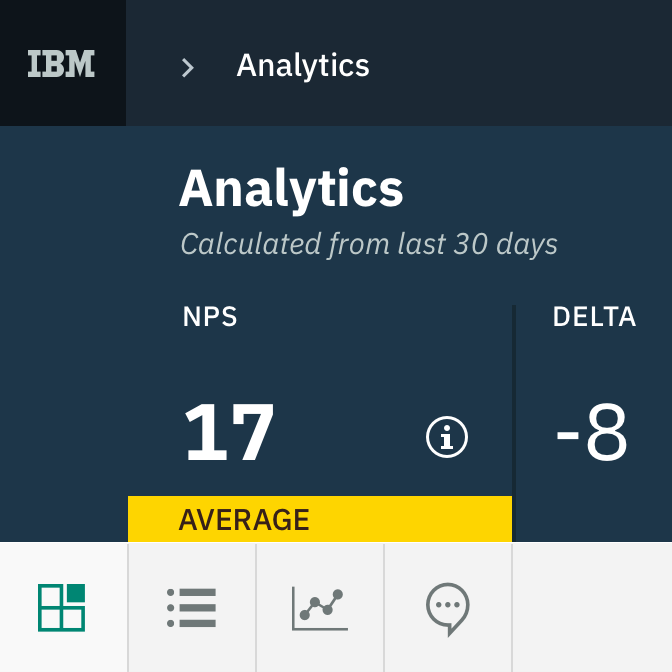 NPS data gives offering teams a simple way to take the pulse of their users. 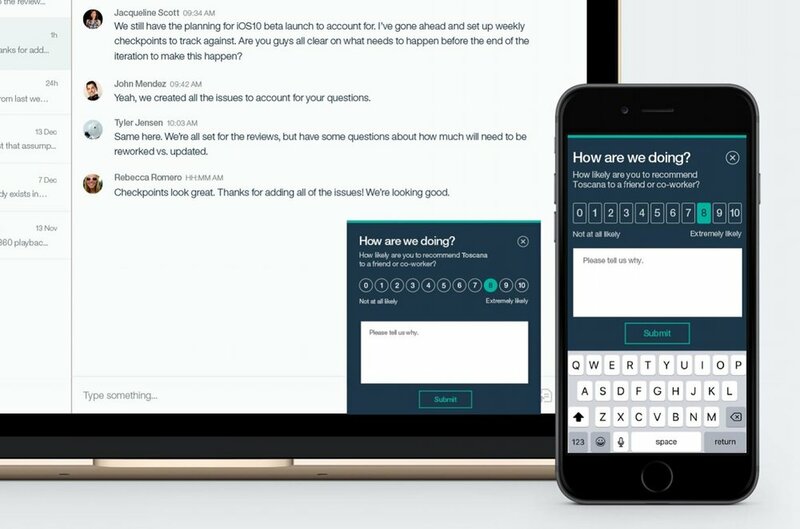 User feedback helps identify critical issues to address what will provide the most impact, as well as differentiators to promote to a target audience. 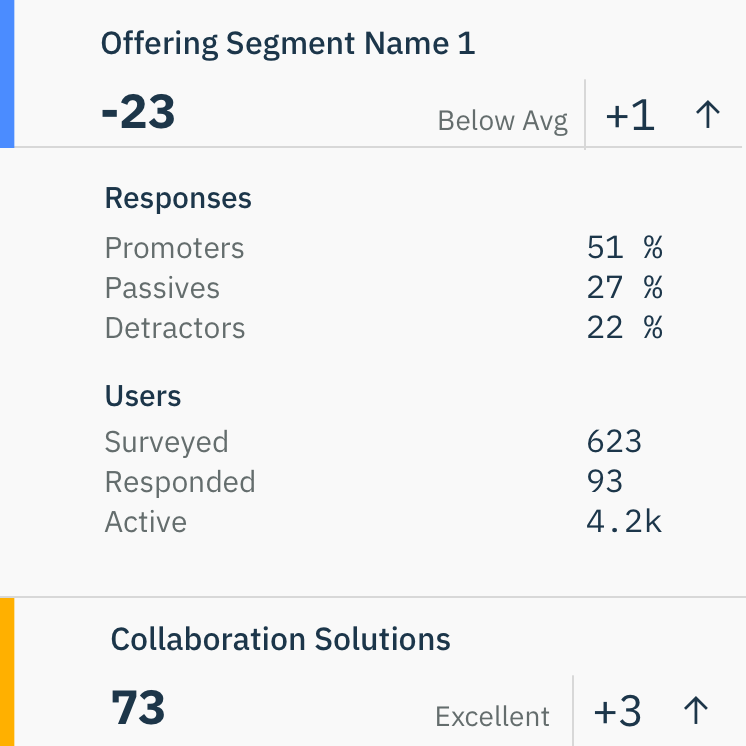 Over time, a team can track their progress with users as their Net Promoter Score trends up or down. Users are asked to score their likelihood to recommend an offering on a 0-10 scale, with an option to provide additional free form feedback. The question is standard and can be asked across multiple channels such as web, mobile, and email. The possible range of NPS is from -100 to +100. Based on published data, software benchmark data is as follows. My entire process for designing the NPS application was documented during my Design Talk Webinar with InVision. Products on-boarded to the service.